People gathered to watch Jasmine Trias compete during an "American Idol" party last night at Dave & Busters. 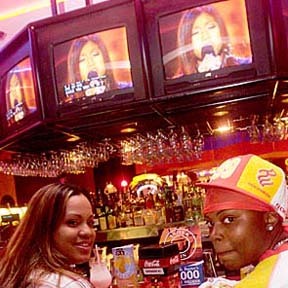 Mahealani Jackson, left, and Crystal Jones watched from the bar. Appraisals by the show's panel of judges suggested Trias' star was on the rise again.